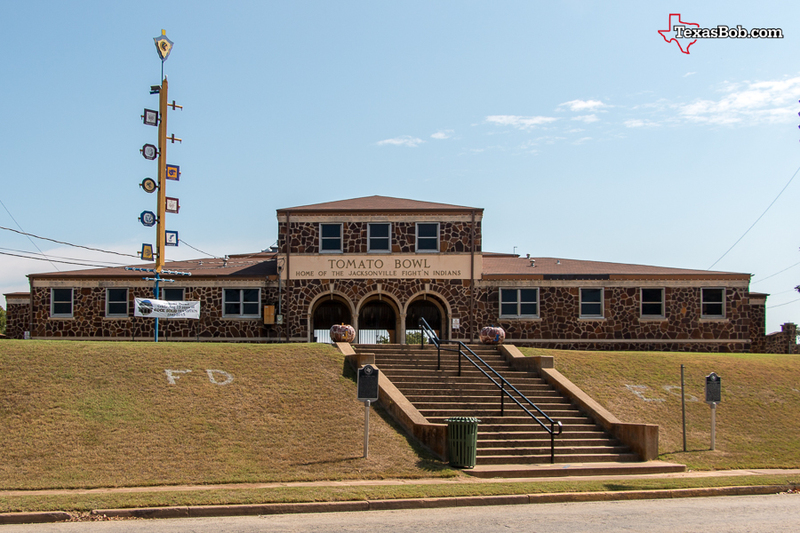 In 1938 the Jacksonville School Board authorized a Dallas Architect to design a new football field to be built on the hilltop site on East Commerce Street when the land and funding became available. Then they applied to the Works Progress Administration (WPA) for financial assistance in constructing the football field. In November of 1939 Senator Tom Connolly notified the School Board that funds in the amount of $106,995 had been approved for what was now called "The Tomato Bowl" project. The Jacksonville School Board then issued bonds totaling $20,000. The project was now fully funded and construction began early in 1940. The most striking thing about the stadium is the stone work. 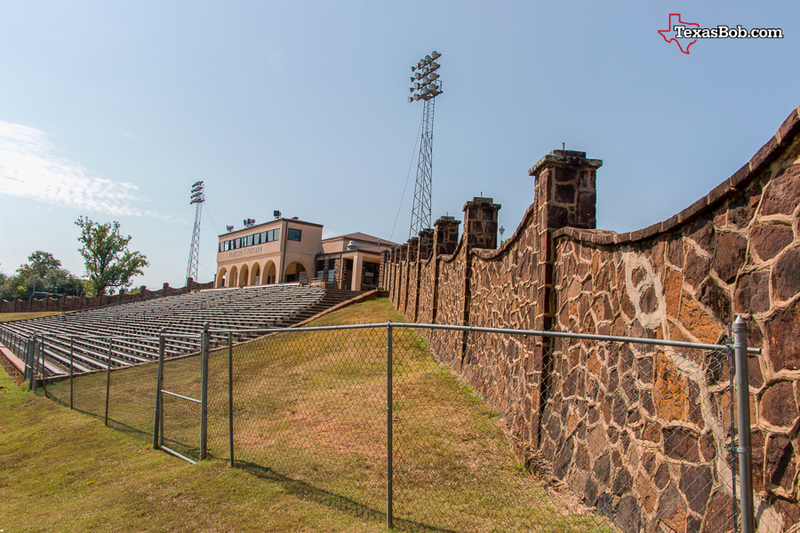 The home side stands, the press box and the wall surrounding the Tomato Bowl complex are constructed from native red iron ore rocks. 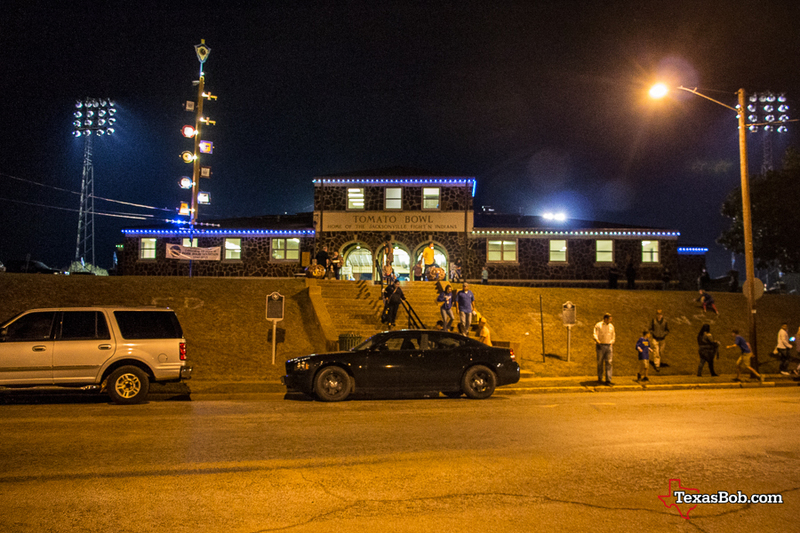 The project was completed in time for the 1940 football season. On September 27th, 1940 Jacksonville High School played against Dallas Crozier Technical High School in the newly completed Tomato Bowl before a sellout crowd. Today the Tomato Bowl has been serving the school and the city for more than 75 years. 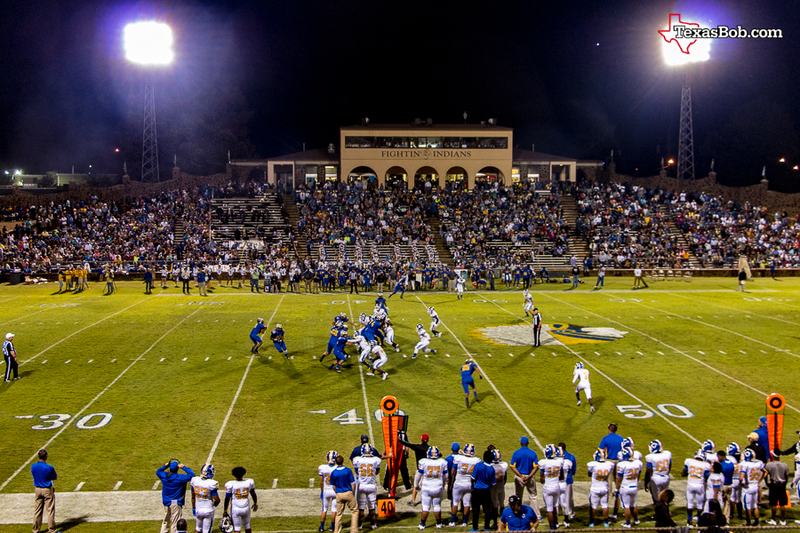 Almost all community events, start from, end or are held at the Tomato Bowl. When locals give directions in the downtown area they almost always reference the Tomato Bowl. Businesses, when advertising, end by saying "located across the street from the Tomato Bowl" or "Two blocks west of the Tomato Bowl" etc. Jacksonville High School Graduations are held at the Tomato Bowl. In June the "Tomato Fest" is held in front of the Tomato Bowl and in the fall the Harvest Fest is held at the Tomato Bowl and there are the occasional concerts held there. Then in the fall the Jacksonville Indians play football in the Tomato Bowl. Football in the Tomato Bowl is a sight to behold. There are more traditions with Indian Football and the Tomato Bowl than I can innumerate. But the one I enjoy the most is that during a game from two to four freight trains pass by the north end zone and when they pass they really lay on the horn. The trains pass so close to the field that I've wonder if in the 75 years of football games has anyone put an extra point into a passing hopper car. "The Tomato Bowl" is a great addition to the Texas Football Stadium Hall of Fame.